The Potter County Hospice program at Cole Memorial received a 2017 Hospice Honors award from Deyta Analytics, a division of HEALTHCAREfirst. Hospice Honors is a prestigious national program that recognizes hospices providing the highest level of quality as measured from the caregiver’s point of view. 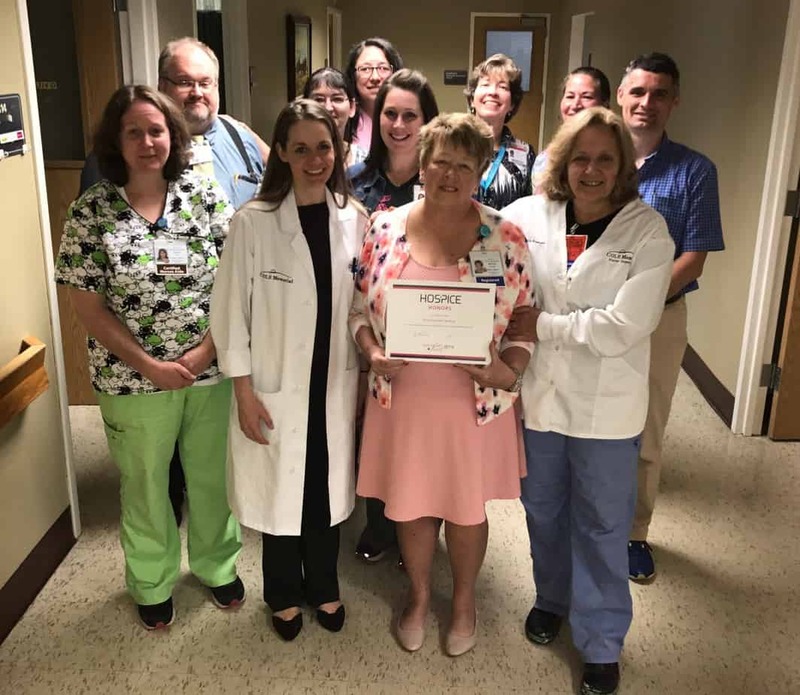 Cole Memorial’s Interim Home Health & Hospice Director, Bonnie Kratzer, credits her department’s recognition to the excellent end-of-life care provided daily by the Hospice team and the aftercare that is provided to the patient’s family and friends. Since 1984, the Potter County Hospice program at Cole Memorial has been dedicated to caring for terminal patients and their families. They’re certified by Medicare and Medical Assistance and Joint Commission accredited. Their medically-directed care approach provides physical, social, psychological and spiritual care for our patients and their loved ones. A team of professionals made up of physicians, registered nurses, home health aides, medical social workers and trained volunteers that meet regularly to keep patients’ treatments patient-centered and personalized. For more information about Potter County Hospice services at Cole Memorial, call 814-274-0384.